The Lady Arrows and Arrows Soccer teams traveled north to take on the Germantown Mavericks on Tuesday, Nov. 27. The Lady Arrows (5-0-2) earned a draw against the Lady Mavericks after conceding a goal. Freshman Addison Pletzke scored for the Lady Arrows in the first half to give the Lady Arrows a 1-0 lead. The Lady Mavericks took advantage of an opportunity to tie it up early in the second half. The match ended in a tie, giving the Lady Arrows their second draw of the season but also keeping them undefeated. After giving up a goal in the first half, Corey Lewis found the back of the net for the Arrows (3-3-1), tying it up 1-1. The Arrows gave up a penalty in the 18-yard-box giving Germantown a PK with 10 minutes left in the second half where the Mavericks took the lead. Clinton could not overcome the late go-ahead-goal and fell to the Mavericks by one goal. The Girls and Boys soccer teams host the Brandon Bulldogs at Arrow Field on Thursday, Nov. 29. 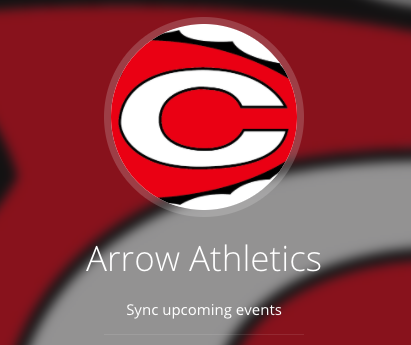 The Lady Arrows kick off at 5:30 PM and the Arrows are scheduled to start at 7:15 PM.